As of late, cloud storage services have been gaining significantly in popularity. Both Microsoft and Apple are involved in the space in some form, on top of highly successful startups entirely dedicated to providing such services (i.e. Dropbox). Thus, it only makes sense that Google would want a piece of the action as well. Since 2010, there have been murmurs that Google was planning to launch a cloud storage service, and, more recently, it was revealed on good authority that such a service was certainly in the pipeline, and that it is going to be called Google Drive. And today, The Next Web has obtained some credible details on the upcoming cloud service. First and foremost, the service is expected to launch next week (likely either on Tuesday or Wednesday), offering 5GB of storage for free; 3GB more than what is offered by Dropbox for the low cost of nothing. Mind you, SkyDrive, Microsoft’s offering in the space offers a generous 25GB of storage for free. One thing though, that was unclear in the information that TNW received, however, is how integration with the desktop would work. It is believed that Google Drive may work on the desktop – on both Windows and OS X – in the form of desktop folders that you can drag files in. Another possibility (which TNW cites as being a bit harder to implement in OS X) is the implementation of Google Drive as an icon, similar to Dropbox. 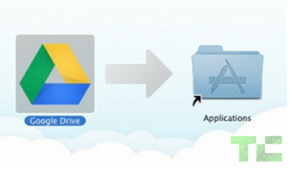 On this note, TechCrunch did receive a Google Drive app on OS X, which they were able to successfully download and run. It looks legit, however, it cannot connect to Google’s servers just yet as they haven’t flipped the switch enabling Google Drive. So, consumers will have a fair range of quality storage services to choose from, but what will they go with? The ecosystem factor seems to play quite a significant role here. iCloud isn’t necessarily in the same class as the other services as its more of an automated background cloud service, but that isn’t to say that the other services have no ecosystem ties. 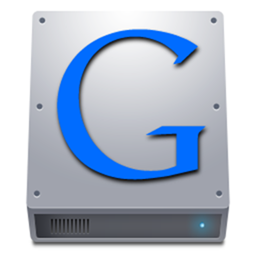 Google Drive will surely be tied into Google Apps, which is sure to prompt some to use the service. SkyDrive ties in well with Microsoft’s own online services ecosystem, and it will soon play a larger role in Windows 8 (and Windows Phone) in the form of apps and integration. On the topic of pure, free storage space, SkyDrive certainly takes the cake. And, as far as trust, well, it’s up to the consumer really.